Empathy and cognitive development as a pedagogical tool for early acting students. Using forum theatre with orientation leaders to disrupt microagressions and racial bias on college campuses. In February, Rivka and Josh Vink presented a workshop session titled "Cultural Engagement through Theatre-Making." Participants analyzed a section of Narrative of the Life Frederick Douglass and created short performances based on the intersections of resistance, oppression, and culture in their own lives. In August, Rivka presented along with Haley Honeman and Mat Shwarzman an interactive game based on the C.R.A.F.T (a process for community-based arts projects). The game, called Collaboration Road, guided participants through each phase (Contact, Research, Action, Feedback and Teaching) as they addressed and voted on answers to challenges, set-backs, and happenings that can emerge in community-engaged partnerships. If you would like to test a proto-type of the game, or find out more information about collaboration with civic partners contact us ﻿here﻿. On September 23rd, Rocchio presented at the 2016 Performing the World conference. 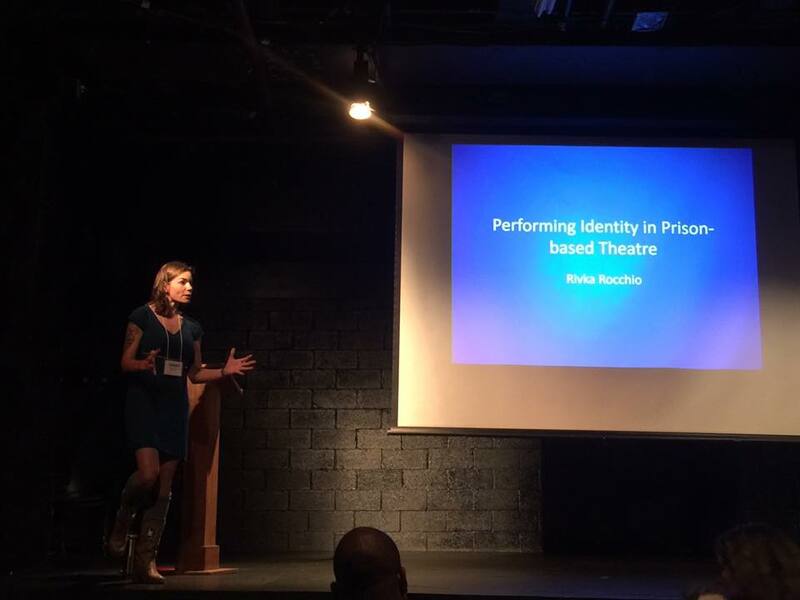 Her presentation around ideas of power and gender in prison-based theatre addressed such questions as: What can the performance of an autobiographical monologue do to support or disrupt gendered identity? What happens to the performance of the male body while it is imprisoned? How can the prison-based drama classroom provide a space for the safe interruption of traditional gender performances?